“LA PHILIE – that’s me, Evelyn Bracklow. LA PHILIE is art and design and the love for extraordinary and elaborate products. 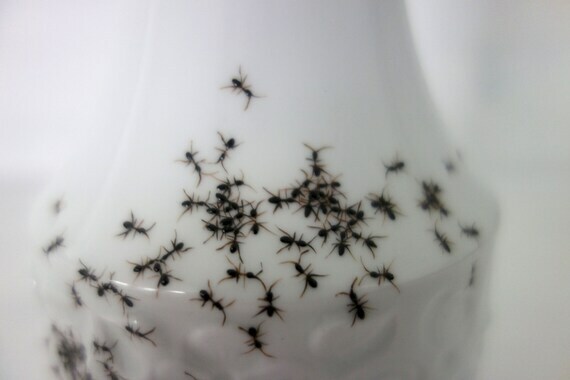 The first line of LA PHILIE, named Chitins Gloss, entails vintage porcelain, hand-painted with ants. The idea for this work resulted from pure chance, when the sight of a carelessly placed plate – by then wandered by ants – fascinated me so much that I felt the urge to simply conserve this image. 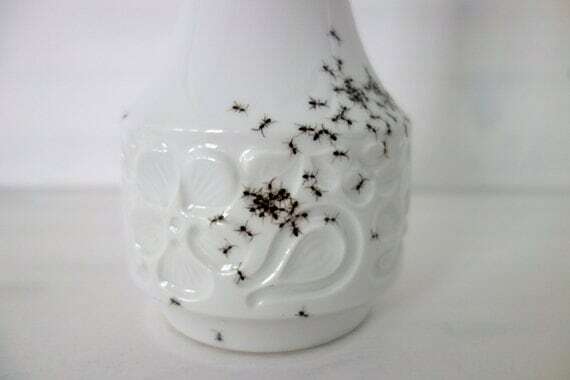 This entry was posted in Art and tagged ants, art, Crafts, etsy, Evelyn Bracklow, hand-painted, LAPHILIE, painting, porcelain. Bookmark the permalink. They look so realistic! But I bet it would be difficult to drink from that cup.